After today's race, all my future 5K times have to be under 23:40 to make my Top Three PRs. I pulled out a 23:37 tonight in warm conditions (77F) against over 7,000 participant runners and walkers. 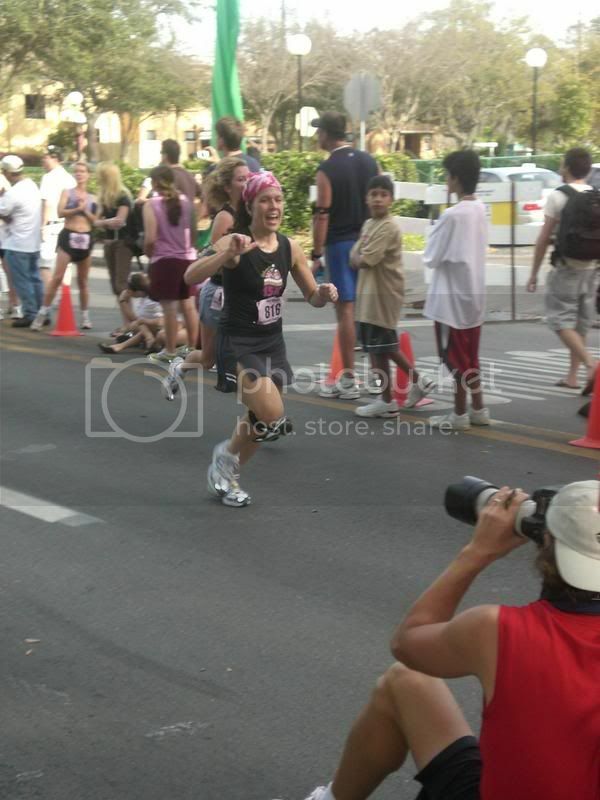 I tore out in 7:27 and followed it with a 7:42 and 7:41 plus the change. The first mile was a second best race mile on my ledger. So much for the numbers. I had about nine beer coupons from my teammates who left, to make the evening complete down there on the field of the Citrus Bowl afterwards. I only used two of them. Honest. I guess we best be calling you Speedy Gonzales dos Cervesas. It's really interesting that all of that excellent preparation work you did for the Atlanta Marathon had it's greatest effect on your 5K (or first mile) time. I always used to think that training for marathons taught you to run slow. But your excellent "fast twitch" improvement as a result has me re-thinking. Nice job. you know, you're awesome! great job, congratulations on a 23:37 finish!! No wonder I didn't see you. You were truckin'! You have been on fire! Keep it up! Awesome to pull those times that close to the Atlanta marathon. The long distance did you some good, it appears. Congrats!! That's an awesome time!